The House of Representatives unveiled their Tax Reform Bill on November 2, a major step towards tax reform. The Reform Bill will go back to the Ways and Means Committee for editing before it is officially proposed on Monday, November 6. The Reform Bill follows the “Big Six Tax Proposal” released in September in most areas but deviates in others. More importantly, the Reform Bill contains many of the details that were left out of the September proposal. Many of the points in the proposal have been debated over the last month and some compromises and changes were made. A summary of the changes for the taxation of individuals and businesses is set forth below. The Proposal in September laid out a goal for three tax brackets, but left room for a fourth. The Reform Bill indeed includes four brackets, thereby retaining the highest rate under current law. The rates are: 12%, 25%, 35%, and 39.6%. There is an additional threshold for heads of household, where the cut-off for the 12% tax bracket is $67,500 and the other amounts are equivalent to unmarried individuals. Noticeably, there is a significant marriage penalty with regard to the 35% tax bracket, with the threshold for married filing jointly at only 1.3 times more than the threshold for unmarried taxpayers. Additionally, standard deductions and personal exemptions are changed under the Reform Bill. The standard deduction for married taxpayers filing jointly would be nearly doubled to $24,400. Heads of households receive a standard deduction of $18,300, and all other taxpayers receive a deduction of $12,200. However, all personal exemptions will be repealed. In addition to these changes, and to attempt to offset the loss of personal exemptions for parents, the Child Tax Credit amount would be increased to $1,600, up from $1,000. Only the first $1,000 remains refundable. Taxpayers with non-child dependents receive a $300 credit for such individuals. Lastly, the phase out limitations are increased significantly to $230,000 for married taxpayers filing jointly, and $115,000 for all other taxpayers. The goal of the Big Six Proposal was to simplify the Tax Code and one way it achieved this goal was to repeal most itemized deductions. The Reform Bill retains the home mortgage interest and charitable contribution deductions, but makes some significant changes. The mortgage interest deduction is capped to interest on debt of $500,000, down from $1,000,000. The charitable contribution deduction for cash contributions would be changed, as well, increasing the limitation on cash donations to 60% of adjusted gross income, up from 50%. Deductions for state and local taxes paid were left out of the Big Six Proposal, but the Reform Bill introduces a compromise: state and local property taxes paid may still be deducted, but only up to $10,000. Deductions for medical costs, student loan interest paid, and other deductions would be eliminated. The Big Six Proposal called for the repeal of the estate tax and generation-skipping transfer tax, but the Reform Bill does not immediately repeal these “death taxes.” Instead, it sets a termination date of December 31, 2023, after which the death taxes would be completely repealed. The current credit amount of $5.49 million would be doubled. Additionally, gift taxes would remain almost unchanged and the stepped-up income tax basis regime for inherited property would be unchanged. Income from pass-through entities (partnerships and Sub-S corporations) is generally subject to individual rates under the current Tax Code, subjecting many small business owners to much higher rates than the maximum rate for corporate taxes. The Big Six Proposal addressed this by capping pass-through income at a maximum rate of 25%, and the Reform Bill has implemented this change. The Reform Bill includes a limiting definition of qualified income to prevent abuse. The Big Six Proposal also discussed reducing the corporate tax rate to 20% and the Reform Bill enacts a flat rate of 20% on corporate income. This rate cut is intended to make U.S. corporations more competitive in a global economy where average corporate tax rates are now generally well under 30%. Even though the Big Six Proposal noted reducing double taxation of corporate earnings, there seems to be no provision in the Reform Bill which would accomplish this goal. Another major change is that the Reform Bill allows businesses (until 2023) to immediately and completely expense the cost of new investments, abandoning the cost-recovery regimes in place under the current Tax Code. The net interest expense for C Corporations is partially limited under the Reform Bill, as it was under the Big Six Proposal. Furthermore, most business credits and deductions are repealed, but two credits would be retained: research and development and low-income housing credits. Net operating losses are also restructured under the Reform Bill, allowing for unlimited carryforward and no carryback except for one year related to disaster losses. Furthermore, repatriated foreign profits under the Big Six Proposal were to be exempted from tax upon return to the U.S., but under the Reform Bill such profits are subject to lower tax rates: 12% on cash funds and 5% on non-cash. There would be a 100% exemption for dividends received from foreign subsidiaries of U.S. parent companies, a point retained from the Big Six Proposal to the Reform Bill. Other changes to foreign income are included in the Reform Bill. With the release of the Reform Bill, a major step towards tax overhaul has been accomplished. Historically, tax reform is a long and arduous process, and an overhaul this size seems to be a very difficult task to complete in 2017. The last major tax reform legislation in 1986 took nearly two years before a final bill was sent to President Reagan. However, the House’s Reform Bill will go to the Ways and Means Committee over the weekend for editing and will likely be introduced on Monday, November 6. The Senate Finance Committee is said to be drafting their own version of a tax reform bill, and they, too, are using the Big Six Proposal as a framework. The changes included in these bills would go into effect for tax years starting January 1, 2018 and after, and both the Senate and the House hope to be holding votes on their bills by Thanksgiving. 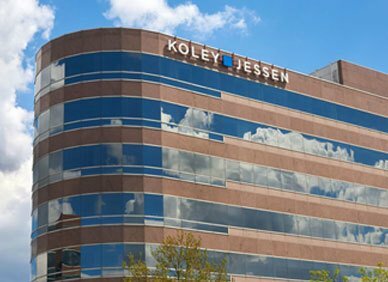 The Tax attorneys at Koley Jessen are keeping a close watch on Tax Reform. Please contact us with any questions. Under current law, the applicable exclusion amount for decedents dying in 2017 is $5.49 million and is set to increase to $5.6 million for decedents dying in 2018.